product. Its unique and unrepeatable characteristics are due to the special geographical environment, which includes both natural and human factors. 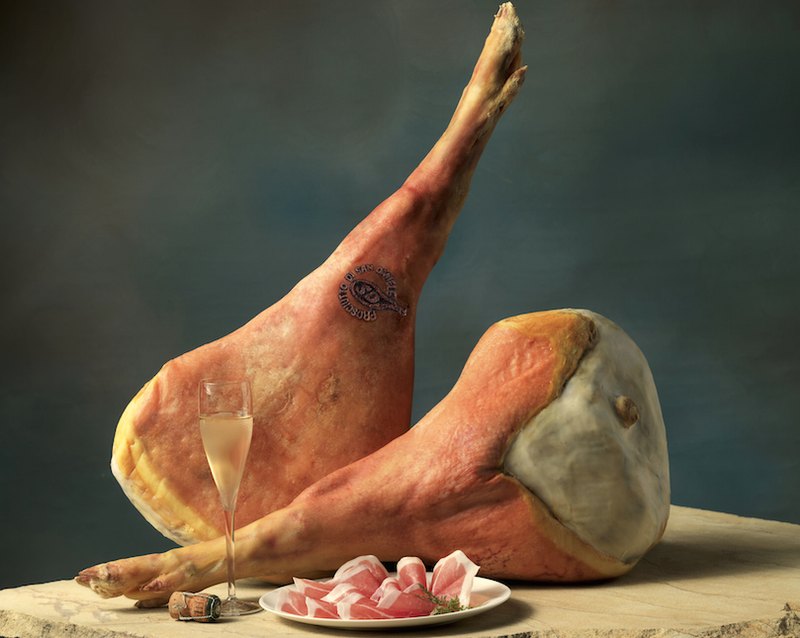 Prosciutto di San Daniele is produced, solely and exclusively in San Daniele del Friuli. San Daniele is situated in the centre of Friuli Venezia Giulia in the so-called “Morainic Amphitheatre”, in the foothills of the Pre-alps, 252 meters above sea level. All of this creates the perfect conditions for maturation: an ideal microclimate, which allows the meat to be perfectly preserved, solely thanks to sea salt and without the use of additives. pure white. The aroma is delicate and becomes more persistent as maturing progresses. consistency of the slice is tender, and dissolves in the mouth. sea salt and the special microclimate of San Daniele. No types of additive or preservatives are used. The production process has remained unchanged through the centuries; the introduction of technology has been solely limited to improving the organization and handling of the product in the prosciutto factories.